In the field of entertainment, musicals and operas serve special roles that few other art forms can accomplish. Both are undoubtedly musical forms, although that is about all they have in common. The truth is that both have a number of differences that may as well make them entirely different art forms. In this comparison article, we take a look at their key differences. A musical or musical theater is a theater form comprised of music, songs, dialogue and dance. Much of the emotional content, and even the story of the form, is expressed by way of words, music, and movement, along with various technical aspects. The term musical has been used to refer to musical theater stage performances since the beginning of the 20th century. 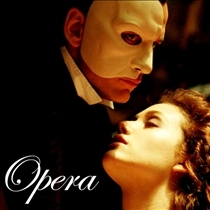 Opera is a theater art form in which a dramatic work is performed by singers and musicians. Comprised of text called a libretto and a musical score, opera belongs to the Western classical music tradition, and it combines several elements of spoken theater, including acting, stage design, costumes, and even dance. Operas are often featured in opera houses, with accompaniment from an orchestra or a smaller musical group. Musicals are performed in numerous venues all over the world, ranging from large venues, such as theaters at the West End and Broadway (in London and New York City respectively), to smaller theatres in Off-Broadway or regional shows. 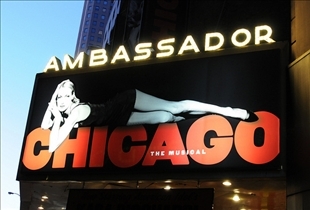 Musicals are also frequently brought on tours, and they may even be performed by amateur school groups. Britain and North America are particularly active places for musicals, although they are performed in many countries all over the world as well. While operas started out using large and lavish orchestras, there has been a significant scaling down in the size of the orchestras employed, all in the interests of cost-cutting. This is largely the result of decreased government and private funding of the arts. Many of the newer operas are commissioned with smaller budgets, and this has necessitated the significant reduction in the sizes of the orchestras used, as well as the preponderance of shorter operas limited to one act. Most musicals typically intersperse songs with dialogue, while operas are mostly sung throughout. Some operas do employ dialogue, although these are usually presented in recitatives form, or as music that is presented in a similar intonation as speech. Musicals also often have the characters dancing, which never occurs in operas. That being said, there is a bit of overlap between the two forms, as seen in works such as Les Miserables, Chess, and Joseph. Such works are commonly referred to as "popular operas" or "rock operas", in recognition of their ties to "classical" opera. Wearing Ryan Mathews Jersey is the perfect way to support your favorite and hard-working playerSproles Jersey. We make every efforts to make your satisfaction.